A father allowed his friend to take his daughter for a ride on a paramotor trike. The trike struck a barn and crashed to the ground in flames. The father ran to the scene, desperately struggling to pull his daughter from the flaming wreckage. The paramotorist and the girl were killed. The father was taken to a hospital with third-degree burns on his arms and hands. A nine-year-old child, from the capital of São Paulo, was injured after falling with a paraglider around 3 pm last Wednesday at Mole beach in Florianópolis . She was flying tandem with an instructor until they were surprised by a sudden change in the wind. At landing, they hit a ravine and some bushes. The the Arcanjo fire department helicopter was called to the scene because of the difficult access to the site. The child was diagnosed by the medical team with a suspected fracture in the hip region. She was immobilized and stabilized and was then flown to the Joana de Gusmão Children's Hospital in Florianópolis. "Being a child in a serious situation, the presence of the helicopter Arcanjo was very important to quickly stabilize the victim. We managed to get a qualified team with equipment and medication to a place that the team would have had difficulty accessing by land," pointed out Lieutenant Fábio Fraga. The paragliding instructor was assisted by the Emergency Auto Rescue team of the Barra da Lagoa Military Fire Brigade and sent with minor injuries to the hospital. When my daughter was nine, we hired a cello instructor. 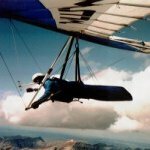 I have to say that both the sport of paragliding and hang gliding should not allow persons under 18 (or 21) to be passengers (i.e. "students" - - - LOL) in any tandem operation. In countries outside the US there is little for us do do. But within the US the U$hPA should officially condemn tandems with minors. The very language of the U$hPA's membership waiver defines hang gliding as a threatening and dangerous activity. This also defines going tandem with children as unnecessarily threatening and endangering to the health of that child. This kind of activity is either a misdemeanor or felony charge in almost every state in the Union. But talk is cheap. How do we actively work to stop tandems with minor children from happening here in the US? How do we actively work to stop tandems with minor children from happening here in the US? 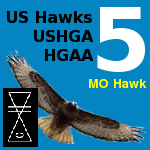 I speak out - here on the US Hawks forum, in hopes others will agree or change their minds. As a parent, I want other parents to know how STUPID and IRRESPONSIBLE they are to place their children at risk a dangerous distance from the ground. Parents do this because they become impassioned about flight. This has nothing to do with children and they need to recognize that their personal proselytizations about free flight should not apply to kids. There can be nothing more tragic than to realize you have killed your own offspring, your own immortality, through an unnecessary and foolish act of hubris. I was a hang gliding proselytizer myself. I wanted everyone to experience the joy of free flight. I even promised my daughter I would take her hang gliding. I finally realized, in a brief moment of normalcy, that it isn't right to endanger your children, no matter how out there you become. Children are ours to protect. When they grow up, they can make life or death decisions for themselves. As parents, it is our obligations to make life-only decisions for our children on their journey to adulthood. If we are overcome by severe attacks of proselytization, we need to regroup and remember that it is our responsibility to protect our children, not make them into little minimes to flatter our outsized egos. I despise people who put their children in situations where they could be maimed or die. These people have serious problems with their identities and self-worth. You can't project risk onto your children in an attempt to make your own risk appear less real. Grow the f**k up and be an adult. I stand by Rick's analysis. -------------------------------------------Recalling Curt Stahl at age 14 ?, son of United Airlines Captain Stahl, dying from a crash in a Seagull HG. Ouch. Launched off Ortega Highway. Dad was super enthusiastic and very frequent visitor to Seagull Aircraft and Self-Soar Association offices. I still tremble for having my enthusiasm for HG rub into my wife's life that moved her to fly a Seagull II and Quicksilver and Seagull III before she studied aerodynamics, wind, turbulence, airspeed, wing inspection, dive recovery, control, local airs ... Mea culpa. Some tragic lessons were learned in the early days by fathers of young hang glider pilots. Blinded by their passion for flight, I don't think any of them saw it coming. It was a new sport and fathers were excited about the amazing proficiency their sons quickly achieved. They were there to make sure the equipment was safe, the wind conditions were good, and the boys had received all the knowledge their fathers could give them. There were visions at that time of a future filled with families flying safely together. Something in the order of a picnic. In March of 1974, USHGA accident chairman Robert V. Wills lost his 20-year-old son Eric to a misjudged 360 turn near San Bernardino. Then airline captain Chuck Stahl, a USHGA flight director, lost his 15-year-old son Curt at Elsinore that same year. "You can never know all there is to know," UP manufacturer Pete Brock told a journalist in January 1975, six months before he lost his 11-year-old son Hal, not yet a teenager, to a misjudged 360 turn in Aspen, Colorado.. "But you can learn to fly in an afternoon. In skilled hands, its as safe as any action sport can be. Criticism aimed at us is often not based on fact." But as these accidents became known, it became harder to give parents a pass for allowing their children to fly hang gliders. To me, a very high level of absolutely reliable and correct judgement is required. This judgement comes from understanding meteorology and aerodynamics, and careful, progressive experience flying the wing. In critical maneuvers, such as a 360 turn, a small misjudgment can result in death. I said, A SMALL MISJUDGMENT CAN RESULT IN DEATH. So that's it for the kids, in my eyes. They tend to make small misjudgments all the time. Better a bandaid than a tombstone. At least I learned something. Life is long. Live it. It doesn't seem that a lot of other people have. "Better to die doing what you love than to never have lived at all," people in my sport say at funerals. But it always leaves me wondering what they might have become if they hadn't died so young. It is possible to successfully integrate hang gliding into your life, if you are very, very careful. You will need less luck than a paragliding enthusiast but more luck than a sailplane pilot. And you must never allow your level of enthusiasm to ever over-ride your knowledge or caution. In other words, wishful thinking is not part of this game. This game is deadly serious. How can you make a child understand this? Children are all enthusiasm and little judgement. You shelter them from danger. You let them grow up and become adults. Adults are better at being very, very careful. Rick, I do not expect to change your mind on the subject but to put the other side of the argument to get a balance is worth a try. Part of childhood is to learn to live and assess the dangers of living and to survive in a hostile world. Without the experience of life through childhood, you would not grow into an adult capable of independent survival and of making decisions. This is a gradual process that a parent will take their children through until they can make their own rational decisions. Most youth organisations and schools have programmes that introduce young people to activities that offer adventure but also have elements of risk. Of course those risks are mitigated by following procedures to reduce those risks to acceptable levels. No doubt you would have taken your children along this route and will have allowed them to take part in such activities at different stages of their development. The difficult part is knowing when to let go. The first time they ride a bike and you let go of holding them is a risk. The first time you allow them to ride on a road is a risk and so on. You have singled out sport aviation as something they should not be introduced to until they are adults. Would you include rock climbing or other equally risky activities which could kill or maim if done incorrectly? Did you teach your children to swim and then allow them to do so out of their depth? These activities are not required for a child to live but they are required for them to develop. Fortunately my parents did not hold me back and I was able to survive doing the things mentioned above including free flight. Would you deny the same opportunities to be afforded to all young people?